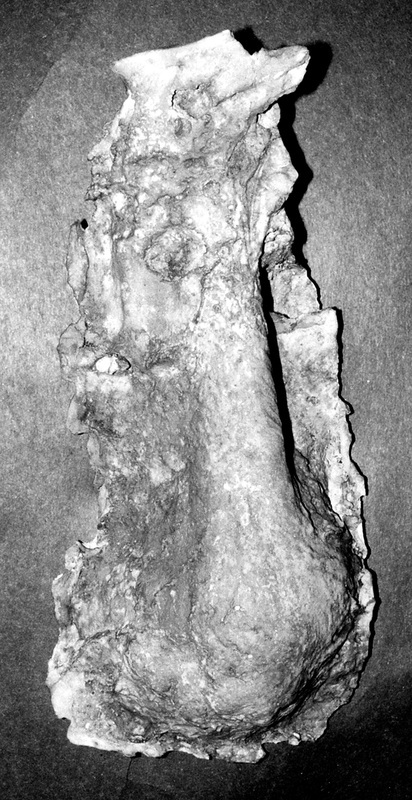 The Skookum Cast Gallery - Sasquatch Canada contains current and authoritative information on sasquatch and other homins. 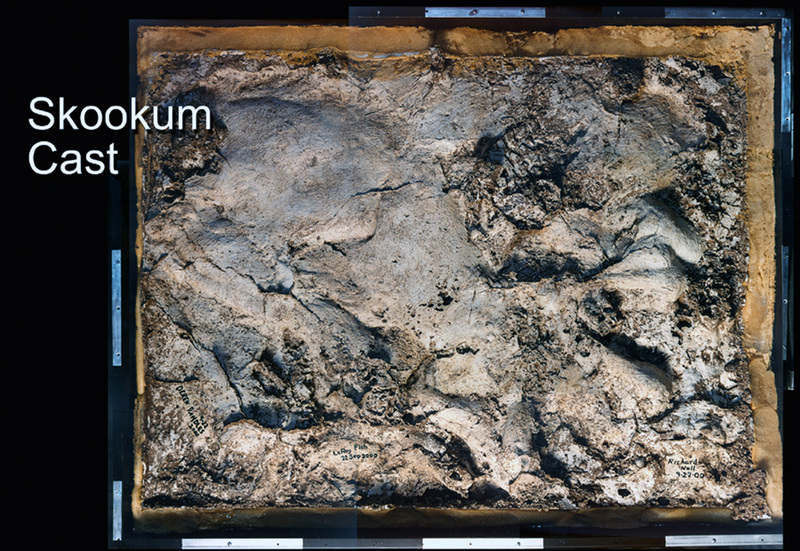 The Skookum cast resulted from a large quantity of plaster being poured into what are thought to be the body prints of a sasquatch. The circumstances were that the creature reclined in some soft earth while reaching for and taking fruit that had been placed as "bait" hoping to get footprints. 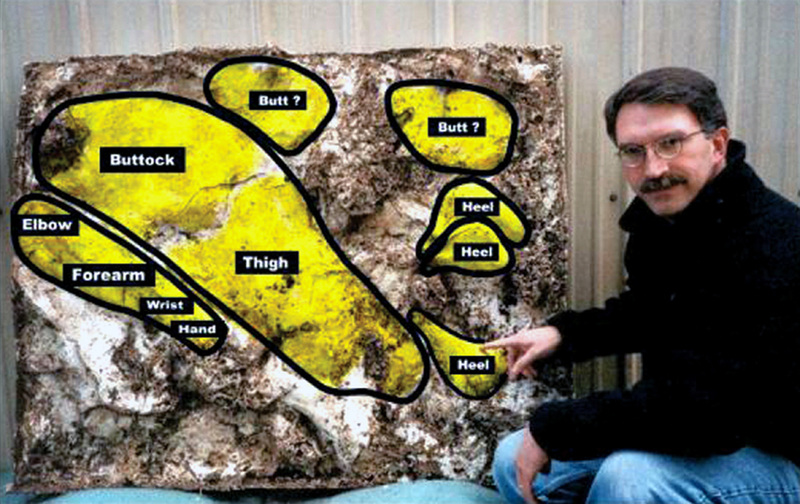 The most significant finding on the Skookum cast was what is determined to be a heel impression. Shown here is a cast made from that impression. The heel is much larger that a normal human hell and definitely appears to be that of a primate.